The Early Years went on an exploration around the school looking for bears, meeting and facing a variety of sensory challenges along way. In J.K., their ‘Bear Hunt’ turned into a ‘Bear Save’. The children acted out having to race against an exploding volcano to hunt for the bear. First they ran to safety but the lava was coming in fast, so the crawled through a cave, bunny hopped over a collapsing bridge and leapt over hot lava to deliver food to a trapped bear hiding in the wilderness. At the end, they all got together and rescued Mr Bear and took him to class where he will live happily ever after. 1. 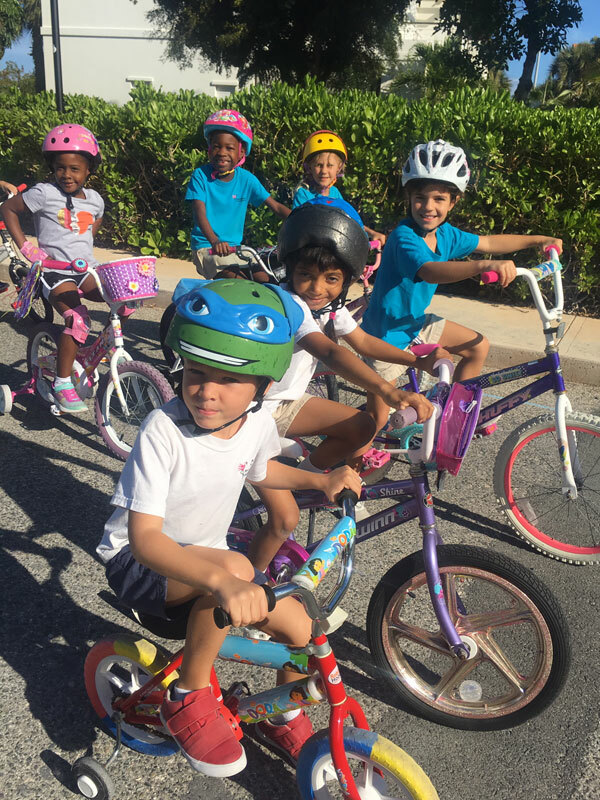 The Movement Challenge: The children gave it their physical best riding their bikes, scootering, skating, running and walking around the school vicinity. 2. 100 Face Cuisenaire Challenge: faces, each to the value of 100, were created with Cuisenaire rods – every face was different – what a creative bunch! 3. New Skill/Brain Challenge: Testing their physical coordination, listening skills and mental powers, the children engaged in a wide range of brain challenges – from brain gym to skipping, to spelling and directional challenges, to hand eye activities and memory games.